Bordering Central Park and the Hudson River, the Upper West Side is full of beautiful brownstones and luxury apartment buildings stretching from 59th to 110th street. With Columbia University and Barnard College within its borders, it’s no surprise this neighborhood has established itself as a hotspot for cultural attractions. Here, you’ll find pop culture landmarks too – the Upper West Side has been the setting for iconic TV shows like Seinfeld, Will & Grace, and 30 Rock. Away from the noise of midtown, you’ll discover one of the most sophisticated and relaxed neighborhoods in NYC. The Upper West Side is easy to reach when traveling to any stop between Columbus Circle and Cathedral Parkway/Central Park North. Just take the 123 along 7th avenue and the AC and BD lines along Central Park west. This neighbourhood is New York’s hub for culture and art. The Museum of Natural History is great to visit on any day. Home to artifacts from around the world, prehistoric dinosaurs, and more captivating displays and exhibits, this museum is easily found on Central Park West and 79th Street. Admission has a suggested price but you can essentially pay what you want, unless you want access to any special exhibition, film screenings, or the Space Show. After a day of history, Lincoln Center For the Performing Arts offers a variety of entertainment with its five theaters - including the Metropolitan Opera House - and one cinema. Whether you’re a lover of opera, classical orchestra, live theater, or concerts, the Lincoln Center is ideal for a magical night out. What’s between the Hudson River and the Upper West Side? A scenic landmark called Riverside Park. While in its entirety the park stretches four miles from 72nd to 158th streets, the Upper West Side area has plenty to enjoy – including skate parks, tennis courts,soccer fields and a public marina. 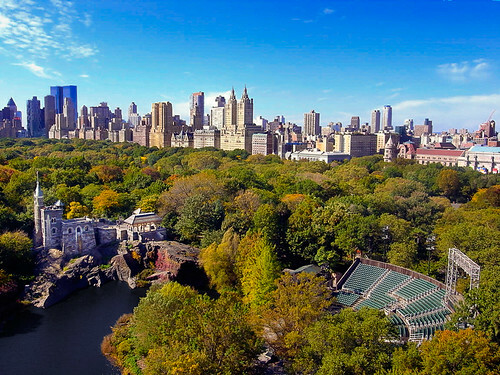 The Upper West Side also owns the west portion of one of the most iconic parks in the world, Central Park. While the east side has some fun attractions, Central Park West provides its own beauty and art. Enjoy a summer picnic, sunbathing or a game of frisbee amongst Sheep Meadow’s lush green grass, capture a cinematic photo on the Bow Bridge over the lake, climb the stairs of Belvedere Castle to look over the park, or wander through the Shakespeare Garden before seeing a reminaged performance of the bard’s work at the Delacorte Theater. 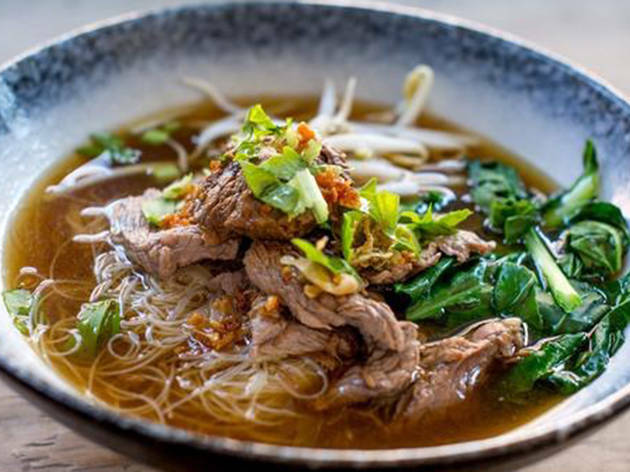 Senn: Thai Comfort Food is the place to go for authentic Thai street food – namely the $9 pre-fix lunch full of mouth-watering food, served in a homey environment. We recommend snacking on gai tod had yai (southern Thai fried chicken wings), or yum kao tod (a spicy and sweet crispy rice salad ), before ordering a Senn’s specialty: bamee yok ped – aka homemade spinach egg noodle with roasted duck. “Road trip down the California coastline” on Amsterdam Ave between 75th and 76th street to Playa Betty’s. The restaurant’s California-style beach food is best accompanied with a house margarita or “fancy pants” cocktail. Not only is it a prime spot for post-work chills, but you can also get a radical brunch (available seven days a week).Choose from fluffy corn pancakes, chicken and churros or the OG egg sandwich and Mexican benedict. Grab your surfboard and hang-ten at this chill restaurant. Good vibes and Southern-style comfort cooking – that’s what you’ll find at Jacob’s Pickles. The rustic decor composed of brick walls and a high ceiling, makes a cozy, welcoming spot for brunch or dinner. Their fried chicken and biscuits are great but be sure to order their house-made specialty: pickles. Not only can you choose from classic kosher dills or Jacob’s signature hot sours, but also pickled carrots, beets, green beans, and green tomatoes. Yum. Neighbourhood bar The Dead Poet, honors its rich cultural history with signature cocktails named after famous writers. 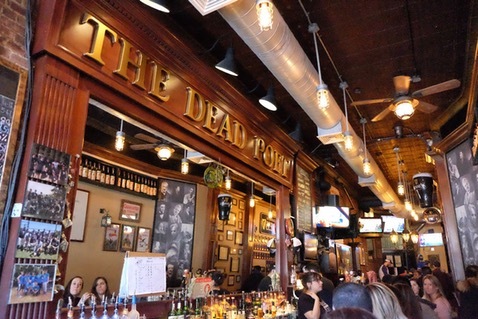 While you enjoy a glass of gin with Dorothy Parker, a sidecar with Langston Hughes, or a Long Island iced tea with Walt Whitman, check out this Irish pub’s food menu too – including five different kinds of fries (truffle, curry, everything bagel, garlic, and curly). 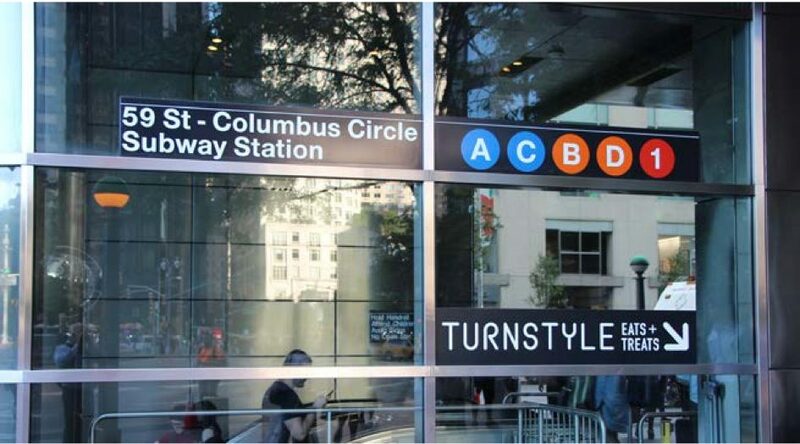 If you’re looking for a mall, look no further than Columbus Circle – or more specifically the Shops at Columbus Circle. With four floors full of 49 stores and 11 restaurants/bars, it’s the perfect place to pass the time window shopping your favorite brands, including Michael Kors, Diesel, H&M, and much more. Want to save some cash with a night in, but still have a great meal? Well, if your cooking skills are up to par, getting your groceries from Zabar’s is a must. For over 80 years, this family-owned business has been serving the Upper West Side the finest coffee, smoked fish, cheese, deli meats, and bagels. You can either browse your way through this NYC landmark or take advantage of their delivery option. Think you could fit in in one of the most cultured neighborhoods in NYC? Then come along to our SpeedRoommating events in Manhattan to find your next apartment. If you’re an Upper West Sider let us know some of your favorite things to do in the area!